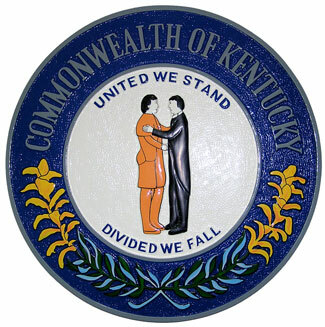 For the past couple of months, the biggest news in Kentucky has been the legal fights between the government of Kentucky and over 140 domain names that have connections to online gambling. Some of the more well known domains listed are PokerStars, Ultimate Bet, Doyle’s Room, Absolute Poker and Full Tilt Poker. Well the Kentucky court has finally decided on a ruling after all of the delays. The decision came from Circuit Court Judge Thomas D. Wingate and his decision after a delay of 24 hours due to “computer problems” was that all arguments brought on by the domains was to be dismissed immediately and the attempt by the domains to nullify the seizure failed. Also the arguments from entities such as the IMEGA (Interactive Media Entertainment and Gaming Association), IGC (Interactive Gaming Counsel), Poker Players Alliance, Internet Commerce Association and the Network Solutions, Inc. were also turned down. Due to the courts decision, all of the domains were ordered to seizure, but the domain owners were also given an opportunity to keep their domains. This opportunity was to institute Geoblocking into their systems. Geoblocking is a program that can restrict access to a certain region or group. The judge gave the domains a 30-day window to institute the Geoblocking software and a final hearing is set for November 17, 2008 at which time the court will decide which domains agreed to the courts order of Geoblocking and which domains did not. Any domain found not to have instituted will then be forfeited to the state. At this time no appeal has been filed nor does it look like an appeal is in the plans. Any new information that comes forth about the seizure of domains by the state of Kentucky or any state will be posted immediately. *iMEGA is a registered trademark of OAC Inc.